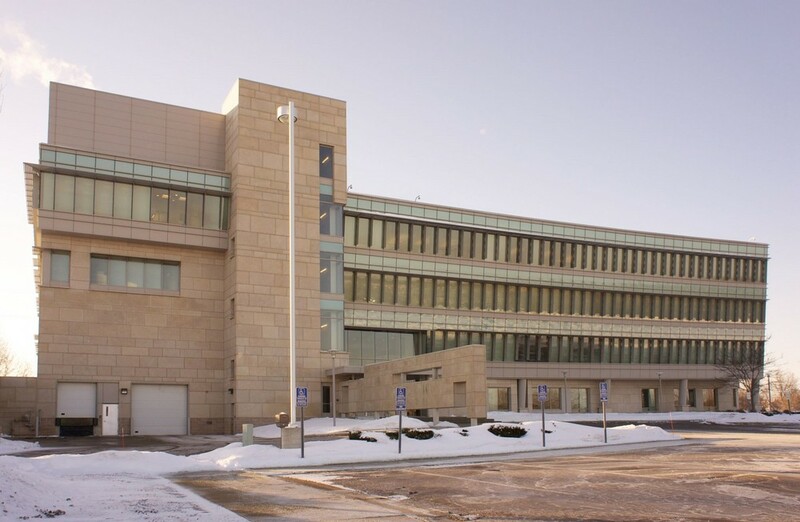 When IBM Think Mutual Bank built their corporate office in Rochester, MN they chose Natural Stone Panels and Biesanz MDL cut stone to complement the buildings’ designs. IBM had also used MDL along with Biesanz Natural Stone Panels on a previous project and knew that Biesanz could meet their needs again. 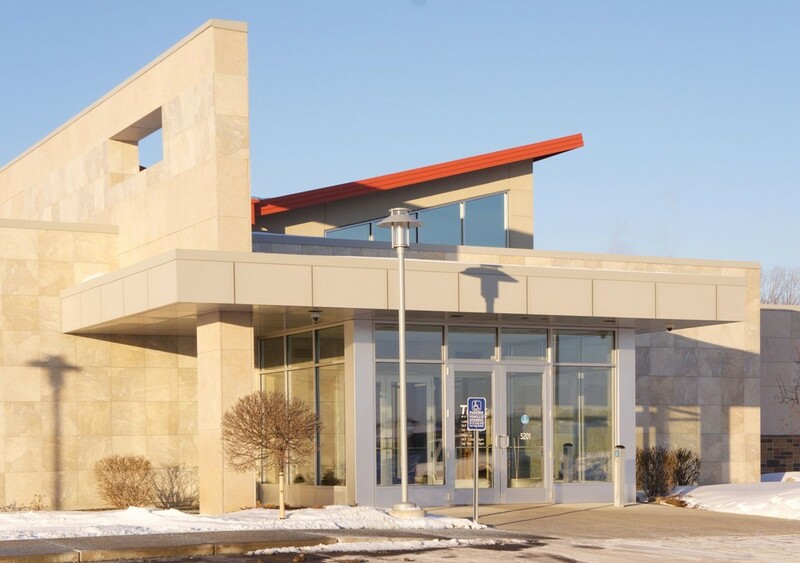 The project consisted of more than 16,000-square-feet of Natural Stone Panels and 900-square-feet of MDL cut stone throughout the interior and exterior of the building. 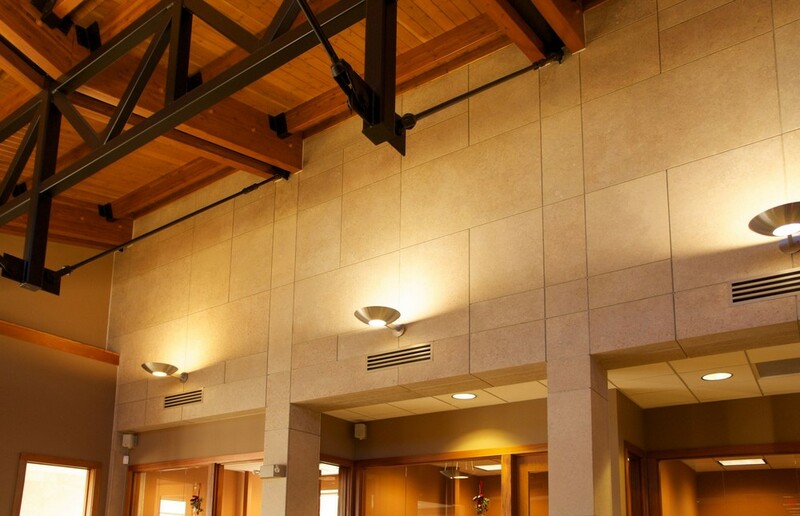 The warm tones of MDL helped create an inviting atmosphere in the reception area, while MDL’s strength and durability ensures that the exterior will provide the building with timeless elegance for years to come. 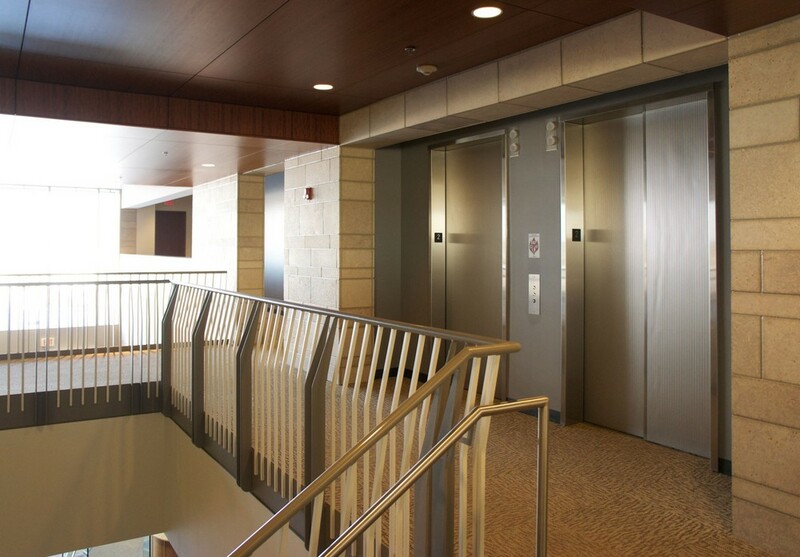 “MDL is a beautiful product, and we have been very happy with its performance and are very pleased with the finished product,” said JoLynn Skogen, Vice President of Facility Management at IBM Think Mutual Bank. 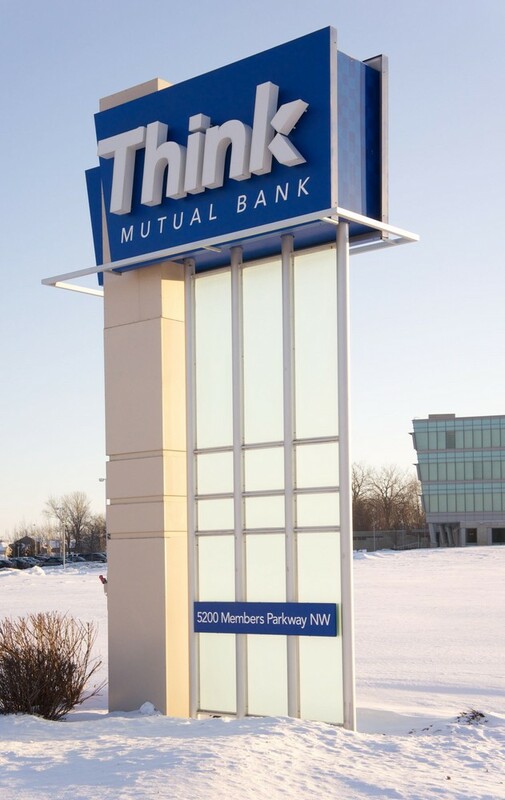 Having previously used Biesanz products on two other buildings, IBM again chose MDL and Natural Stone Panels in their interior and exterior designs for their Think Mutual Bank branch office. Working with a fast-paced construction schedule, Natural Stone Panels were the perfect choice to help keep the project on schedule because up to 10 large panels can be installed daily and installation is not generally effected by the weather. Consisting of more than 5,500-square-feet of Natural Stone Panels with MDL and 600-square-feet of handset MDL, the design presented a unique challenge because of its many intersecting angles. Fabricated in our specially designed, climate-controlled shop, each customized panel was created to meet the engineering and design specifications and delivered to the site ready to be installed. Natural Stone Panels helped create a welcoming environment throughout the lobby, while providing a beautiful façade that will require little to no maintenance for IBM. 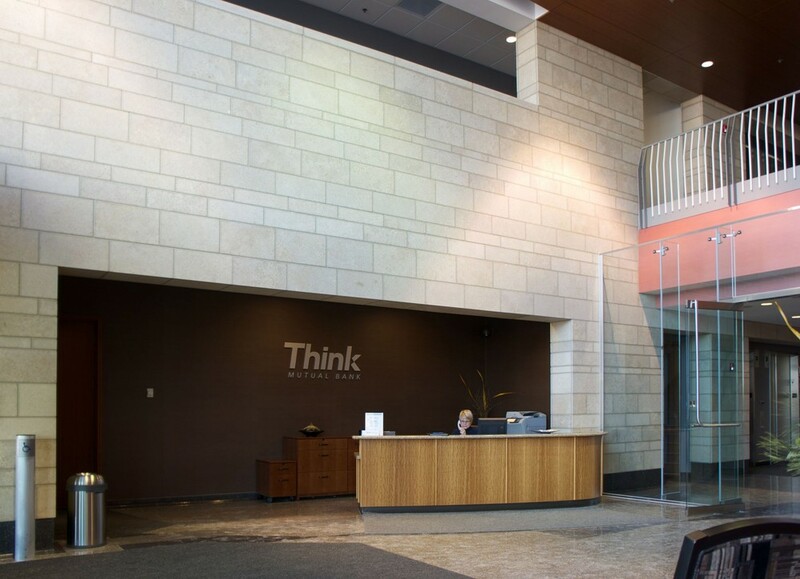 “Biesanz Natural Stone Panels have performed very well in their applications at Think Bank Mutual, and we would recommend it to others,” said Skogen.